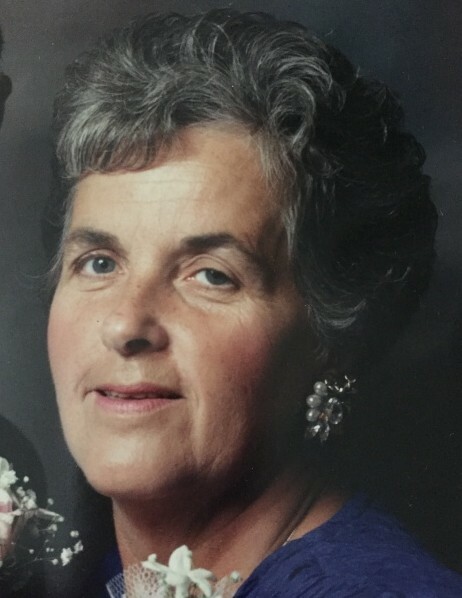 Elizabeth Mary Conway passed away on Thursday, July 19, 2018 at Blake Memorial Hospital, in Bradenton, Florida. Mrs. Conway was born July 30,1935 the daughter of Glenn W. and Mary Snow Teeter. She moved to Bradenton, Florida from Cortland, NY with her husband Bob to live in their own little paradise. She loved living in Florida and enjoyed many activities with all her friends in her community. Both her and Bob enjoyed playing Bingo and all the events at their clubhouse in their park. She also was an avid cook and baker, which she would share with family and friends whenever she could. Above all she absolutely loved her grandchildren and great-grandchildren. Mrs. Conway was predeceased by her husband Robert Conway in 2007. She was also predeceased by her brother Russell Teeter last year. Surviving are her brother Gordon Teeter of Sarasota, FL and her three children Patricia (Anthony) Dintino of Cortland, NY, Michael (Patti) Conway of Parrish, FL and Michele Conway of Bradenton, FL. Also surviving are 8 grandchildren, Bryan, Rachel, Nicole, Ryan, Christopher, Melanie, Austin and Mariele; 9 great-grandchildren, Robert, Aubrey & Calvin Dintino, Liam & Lily Fleming, Harlowe & Everly Conway and Landon & Delaney Conway; and several nieces and nephews. Memorial service will be held on Saturday, July 28, 2018 at 1:00 PM at Griffith-Cline Funeral Home, 720 Manatee Ave. W., Bradenton, FL 34205.